The BF and I ventured to Lincoln Square for a lovely Saturday date night. We had walked past a cozy French restaurant, Bistro Campagne, while we were in the neighborhood for Maifest, and knew we had to return. We were seated at a small table in one of the back rooms of the restaurant. It's clear the space was a house converted into a restaurant because there are several rooms that break up the dining areas. There is also a quiet patio outside. I loved how intimate the dining rooms were, it felt like we were in our own private nook. 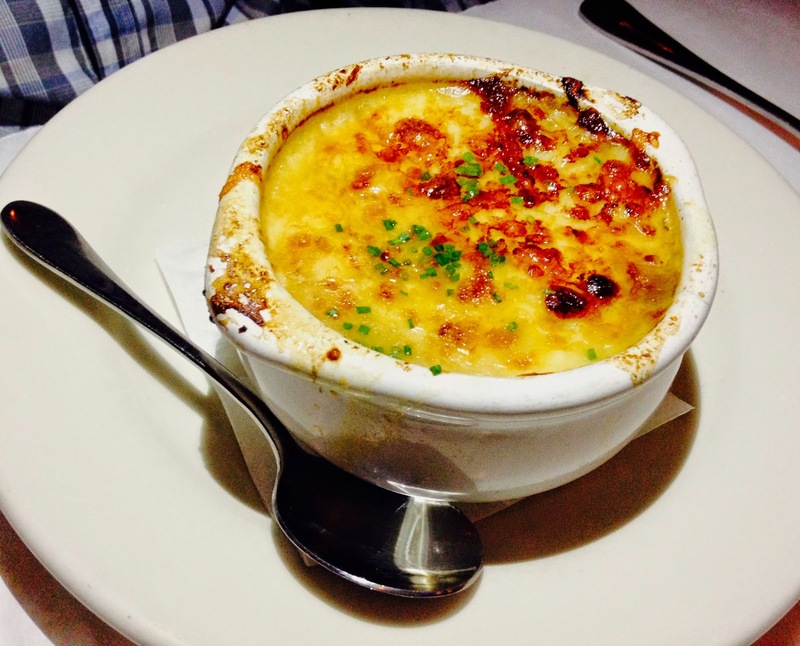 Bistro Campagne's menu is filled with traditional French fare, including French onion soup and escargot, two starters that we tried. 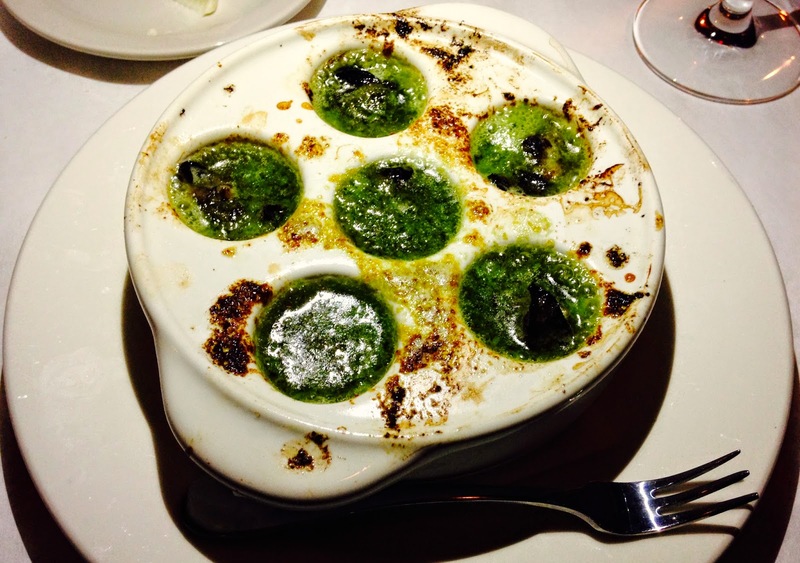 I almost always order escargot when dining at a French restaurant, and this was no exception. The garlic and butter sauce was amazing, and made for the perfect dip for the hot, crusty bread we were served. The French onion soup also was a hit and overflowed with a massive, thick layer of gruyere. 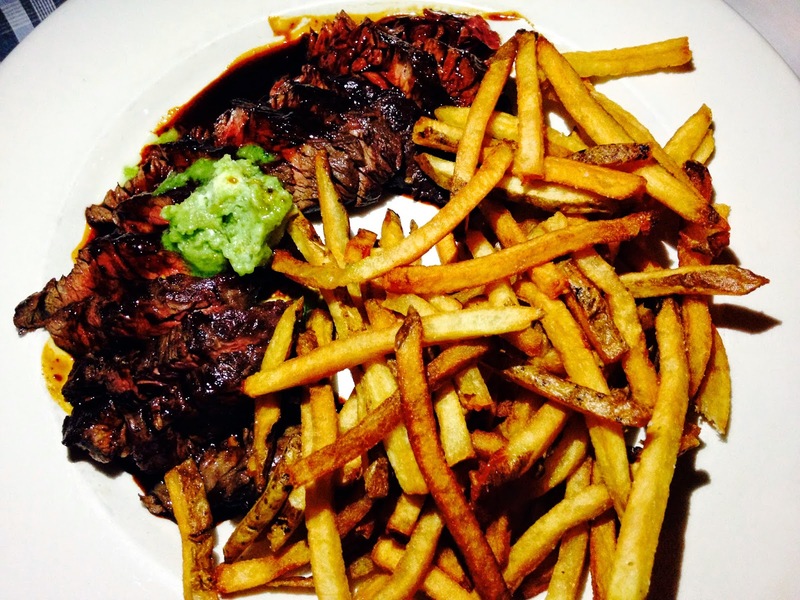 For the main course, the BF ordered the steak frites. The portion of steak was generously topped with bordelaise and a dollop of herb butter. The frites had the perfect balance between crispy and soggy, and did a great job of soaking up the juices and sauce from the steak. 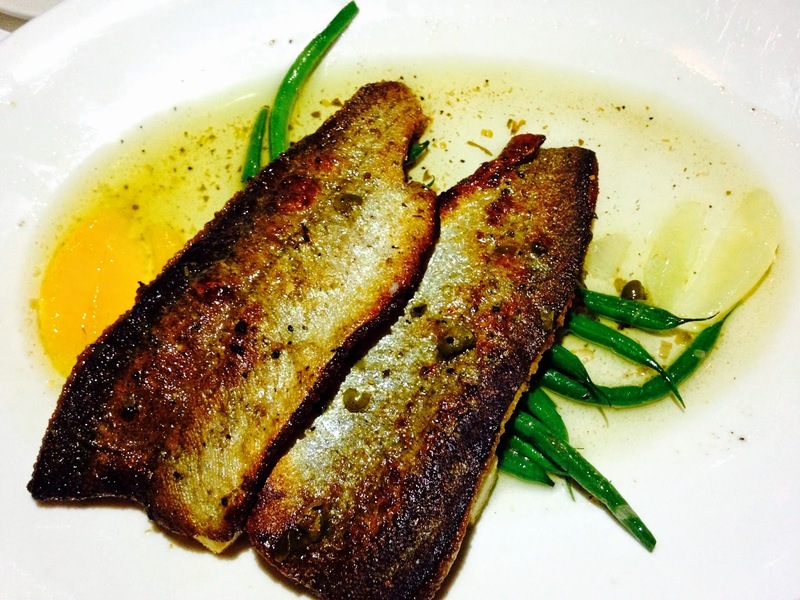 I was in the mood for something lighter so I ordered trout with fresh citrus, capers, brown butter, and green beans. The portion of fish was gigantic! I loved the freshness of the trout and how the fish was served skin-on. It was super crispy but still managed to soak up the butter and citrus. I vowed to take half home, but, as is always the case, I became a member of the clean plate club. Oops. Bistro Campagne is perfect for a special occasion meal, or romantic dinner. It truly has a neighborhood and intimate feel, and the food is consistently delicious. I'm giving Bistro Campagne four ghosts for their warm atmosphere, reasonable prices, fresh French fare, and knowledgeable servers.